This week a little brown bird crashed into the window where I sit and write. He broke his neck and died instantly. 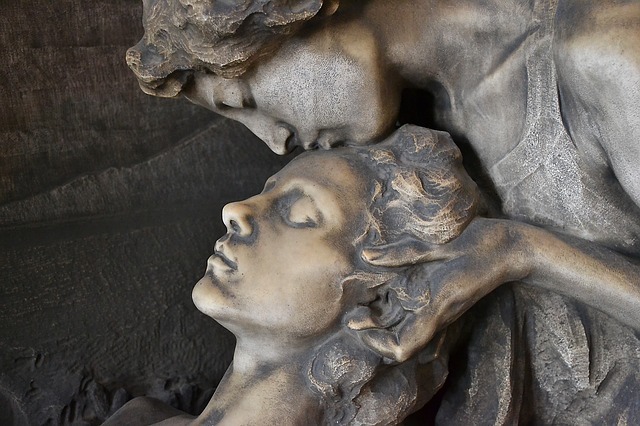 I laid his body under a tangled mat of evergreen phlox in the front garden, and I thought, “There it is again: memento mori – remember death.” And I took a deep breath, amazed, as always, at the fact of Life, and how intertwined life is with death. I’m grateful to so many people who engaged in the conversations prompted by my last two blog posts considering life, and death, and living with dying. I hope that the discussions will continue with as much curiosity and insight as they have had so far! For the most part the ideas that were shared fell into three general categories: the positive(s), the problematic, and the philosophical. Many people mentioned joy. They recognized that life, for as long as we have it, is a gift, and there can be pleasure in “unwrapping” each moment. We can be amazed that we get to participate in the adventure of living. The experience of joy and amazement do not automatically come with the gift, however – these we must choose. To take the time to appreciate, to focus on the positive, to find the beauty and joy, to be fully present to life even in the shadow of death – these are our ways of saying “thank you” for the gift. Comments from those with acute or chronic illnesses (or even just the “terminal prognosis” of having life at all) added rich dimensions to the conversations. Some mentioned the “problem” of hope: Hoping not to have to go back into treatment. Hope as a grasping at what one wants rather than being fully present to what is. Wondering if hope is antithetical to presence, or is hope actually being present more fully? Some who are in various support groups mentioned a subtle “competition,” an insidious “inequality of status,” as members compared their states of health and the support they do or do not have.There is also the American expectation of optimism and self-determination that can work against being present to what is true for each individual. One correspondent had become aware that having a serious disease forces one to become “bicultural” – “you have to learn a whole new language, a new culture of illness and medicine and healthcare, but not everyone in your life understands that culture or speaks that language – and they may not want to, either.” This new culture and language often include analogies of fighting and war, and that may be incompatible for a peaceful person. How can we validate the different qualities of each person’s own genuine experience? All these “problems” are intriguing dilemmas that can be made easier, I believe, by recognizing them and bringing conversations about them into the open among our family and friends and in our society. Terminal illness, chronic illness, or just aging and becoming increasingly aware of our mortality can help to bring us back to our cultural memory as ordinary humans, back to what we knew before we began worshiping youth and accepted unattainable standards of health and physical perfection and beauty – and believed the photoshopped ads that “prove” these standards are possible and normal. Because, folks, none of us is going to make it out of this life alive. We need to acknowledge our illusions of immortality and get on with living as mortals in all our glorious imperfection! We’ve had some good teachers about normalizing death. There are the monks who remind themselves continuously to memento mori, “remember death.” There is Día de los Muertos the annual Mexican Day of the Dead, with death decorations everywhere, and children playing with skulls and skeletons, and families picnicking on gaily-decorated graves as they remember their deceased loved ones and ancestors. There was the philosopher Seneca who, 2000 years ago, urged us to tell ourselves “You may not wake up tomorrow,” when going to bed and “You may not sleep again,” when waking. And there are hundreds of books on the best-seller lists, from Elisabeth Kübler-Ross’s pioneering works to Mitch Albom’s Tuesdays with Morrie to Atul Gawande’s Being Mortal. So many teachers, so many opportunities to consider what we’d sometimes rather not! The real take-away for me from these past two months of correspondence and in-person conversations is that an understanding of impermanence helps us to prioritize our lives. Counter-intuitively, choosing to contemplate death can make life more purposeful. Will we choose to befriend our mortality, to appreciate and be present to what we are and what we have in this very moment, even, and especially, when it’s right in the middle of the muddle?